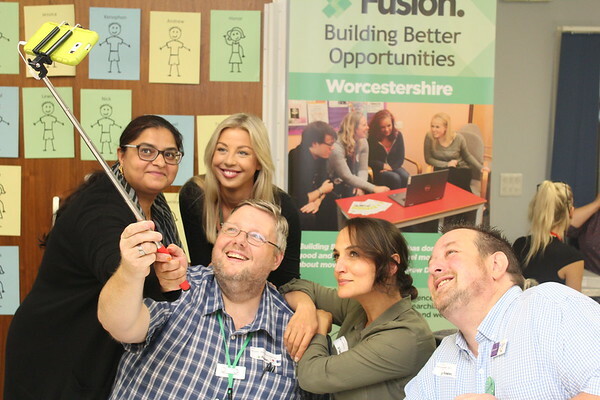 Meet Fusion Job Coach, Mark Steadman, who works for Worcester Community Trust. Mark supports Building Better Opportunities participants within the Worcester area, supporting individuals to achieve their goals and reach their potential in obtaining employment or education. Mark has a friendly and relaxed approach and has helped many participants to overcome their personal barriers and work towards their goals and dreams. Why did you want to become a Job Coach? I knew the job was for me and I was that sure that I actually made five different applications for Job Coach to five different organisations. For me, I chose this role as being a Job Coach allows me to use a range of skills and experiences to help people develop, whether that be develop and attain work experience or a permanent position, or develop personally in terms of confidence or taking that extra step nearer a lifetime goal. A typical day for me involves working with a number of participants in the community to assist them in their progression and goals, lots of coffee, lots of admin and a few cakes! Every day is totally different; I think that is one of the things that is so attractive about the job. I could be helping participants apply for jobs one minute and then working to ensure that a participant’s living accommodation is secure the next. It is so difficult to pinpoint which part of my job is the most rewarding, but for me it’s the smaller things that make the difference; seeing the person you are working with develop in confidence, tick off their actions and see them progressing. But of course my favourite part by far is getting the call from a participant to say they’ve got the job they applied for or have been accepted by a college or training provider for their dream course. How would you describe your role as a Job Coach and the BBO project to a friend? I would describe my role using all of the above… my friends and family know that I am very happy in my work and BBO is a great project to work with. It is hard and challenging work, but the rewards make all the hard work worthwhile for sure. If you would like to chat to Mark about how he could support you, you can contact him on 07930 909977 or mark@worcestercommunitytrust.org.uk.